Even from ancient times, the cranes have been used extensively for lifting and lowering various items and materials. Today, they play key role in many industry sectors, mainly in the construction field, and are responsible for the tasks that involve heavy-duty lifting. There are many crane models on the market, designed and produced by well-known manufacturers. 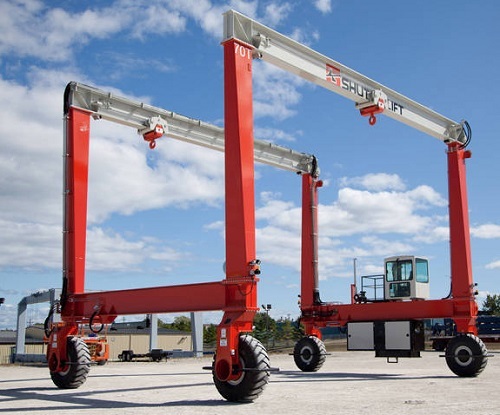 From small portable crane that is generally used for small-sized lifting tasks, to larger tower crane which is a key construction equipment when sky skyscrapers are being built, there is a crane type for every lifting operation. Two crane models that have been extensively used over the years are the mobile gantry crane and the jib crane. The following text will highlight the characteristics of these two crane models. Jib Crane. One very popular crane model is the jib crane. This model is also known as swing jib. The jib crane is generally a fixed structure which is heavily used for lifting and lowering heavy materials in a specific working area. It can be found in various forms, like: wall mounted jib crane, mast type jib crane, and free standing jib crane. All these jib crane models are consisted of one long jib arm or boom, which depending on the model can rotate for 180-360 degrees. The free standing and the mast type jib cranes can rotate for 360 degrees, while the wall mounted jib crane can rotate for 200 degrees. Thanks to its rotation ability, the jib crane can raise and move objects from one location to another within specific working area. 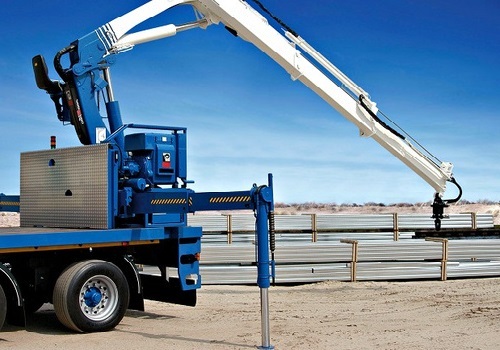 Generally, all jib crane models are equipped with a trolley or a hoist to which a special lifting device is attached. The jib crane is mainly used in production or manufacturing facilities, warehouses, docks, car repair services etc. Mobile Gantry Crane. A kind of crane that is widely used for different purposes is the mobile gantry crane. 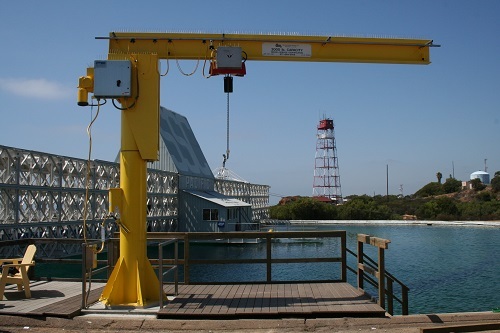 This crane is also known as a frame gantry. As the name suggests, the mobile gantry crane is a lifting equipment that is transported form one location to another via heavy-duty castors. This crane is generally consisted of two A-shaped metal or steel frames, and one H-shaped cross beam on which a special lifting device like a hoist or trolly is being attached. It is a extremely portable crane that can be used in different locations and for different projects where heavy lifting is necessary. Thanks to its portability, the mobile gantry crane is heavily used in production facilities and small factories where a stationary crane is not suitable. In addition, the mobile gantry crane can also be seen in other industrial fields where heavy items need to be lifted and moved form one to another location.